Get some new music from Mr Eazi – Property ft. Mo-T out here! 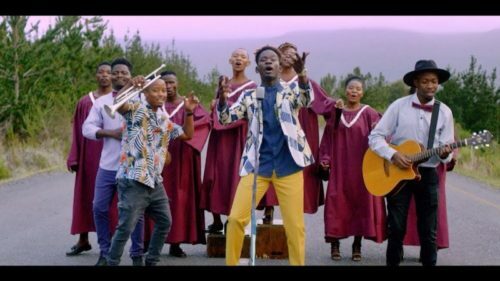 Singing sensation Mr Eazi pulls out a brand new song titled ‘Property‘ from his archives. The Banku Music boss features Mo-T of Mi Casa. ‘Property‘ first premiered on Apple’s Beat 1 radio. The track is off Mr Eazi’s upcoming mixtape “Life Is Eazi Vol 1: Lagos To London”. Listen to Mr Eazi – Property ft. Mo-T below & share! Wow! Nice lyrics, cool and baddest beat. You’re da bomb! I lyk de motion of de song ”wow en dat slow moment beats taaaaah’,hnads up for property. hands up for property ,evry one loves hs/her property.